ON SALE NOVEMBER 2017. The X-Men are caught up in Hydra’s Secret Empire! But what does the terrifying new landscape of the Marvel Universe mean for mutantkind? 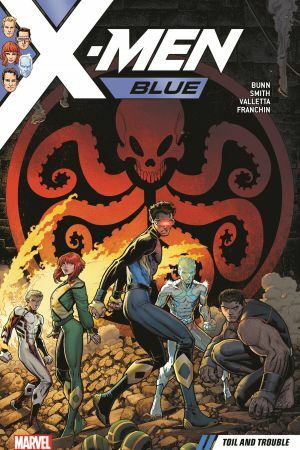 How will Jean, Cyclops, Beast, Angel and Iceman make their way in a world dominated by Hydra? What does Magneto have up his sleeve? And where exactly does Emma Frost fit into this new world order? 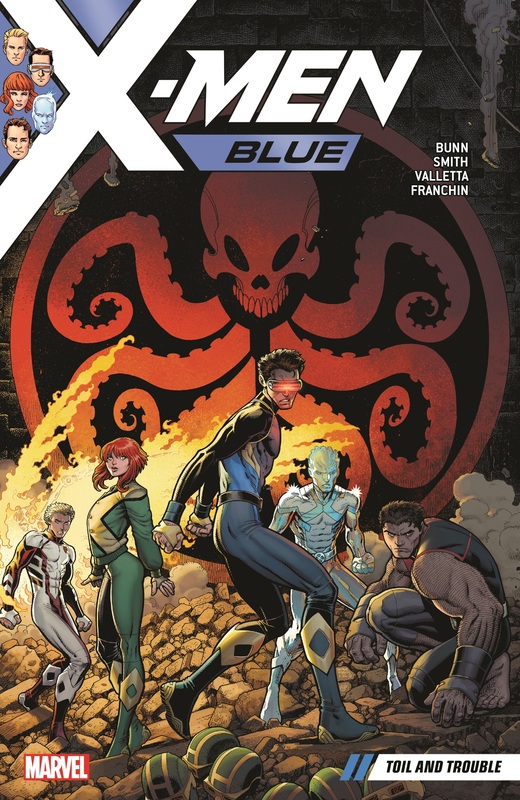 As the Blue squad fights for survival, Cyclops must fight to free himself from a particularly hellish mindscape! 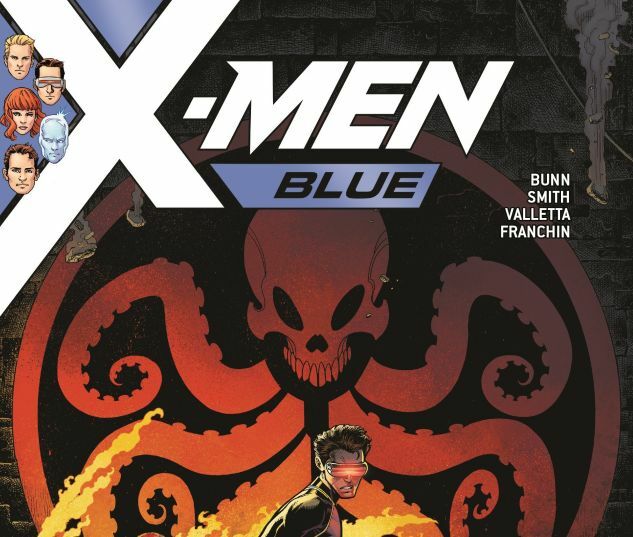 Meanwhile, Hank McCoy continues to develop his penchant for magic — but where exactly did the Beast learn this skill, and will his teammates still want him around once his secret is out? And new recruit Jimmy Hudson struggles with an ultimate challenge all his own: Can he regain his memory with the help of his new friends? Collecting X-MEN BLUE #7-12.